I recently upgraded from a tab 2 7.0 to the new tab pro 8.4 and I have to say it is the best device out there! I found out after a few minutes that I would need to root my tab pro to be able to move my files around. so I did. I also found that once rooting I can plug my 750gb WD 2.5 portable hard drive into the USB adaptor and my tablet powers it up no problem! this is awesome as my tab 2 7.0 would just cut the device off and would need to be powered externally to work. for any one thinking of rooting their tablet, it is well worth it! 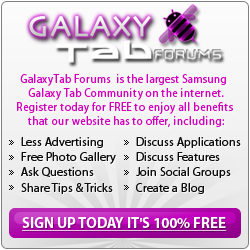 Welcome to the forum and congrats on your new Tab. Welcome to the site. Glad your new Tab is working out.